Sports play a major role in children’s growth of development. Sports give recreation for people. Sports help people keep the mind stress free. In India the most popular sport played is cricket. Tennis and Badminton are also popular games played by different age groups. 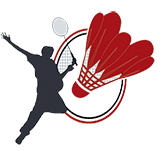 Out of this Badminton is a game played by two teams representing with two or four players. Both the teams have to score the points in order to defeat the other team. This is a brief tutorial that helps you to understand the primary rules of how to play this game. This tutorial is for everybody who is very much desired to play badminton and wants to understand the rules of playing badminton. There are no essentials as such. All that you require is desire to learn and play badminton.